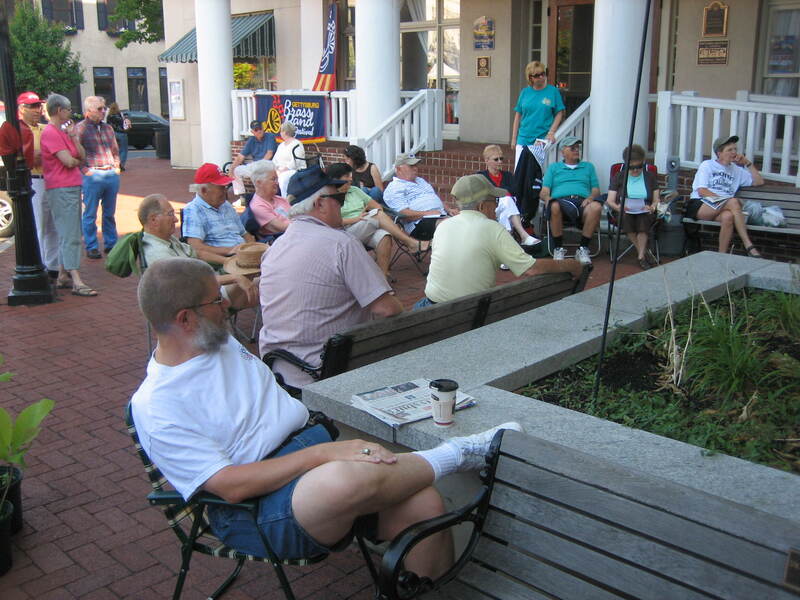 The Gettysburg Festival began this week, and The Slide Show began performing at the front of the Gettysburg Hotel just before 9:00 AM Saturday morning. This view was taken from the northwest facing southeast at approximately 8:55 AM on Saturday, June 21, 2008. 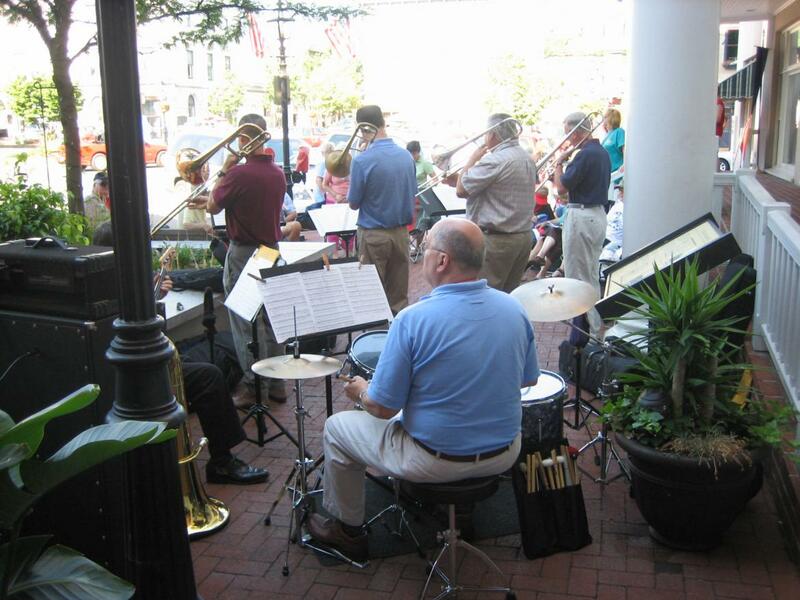 The Gettysburg Festival, formerly known as the Gettysburg Brass Band Festival, began on June 19th, and runs through June 28th. Over that 10 days, over 60 events, all claiming to be “Celebrating America!” Music will be a large part of the festival, but also ballet, sculpture, paintings, food, and film. On Saturday morning, the Gettysburg Daily visited the Diamond, or the Circle, or Lincoln Square where the brass band, “The Slide Show” was performing. 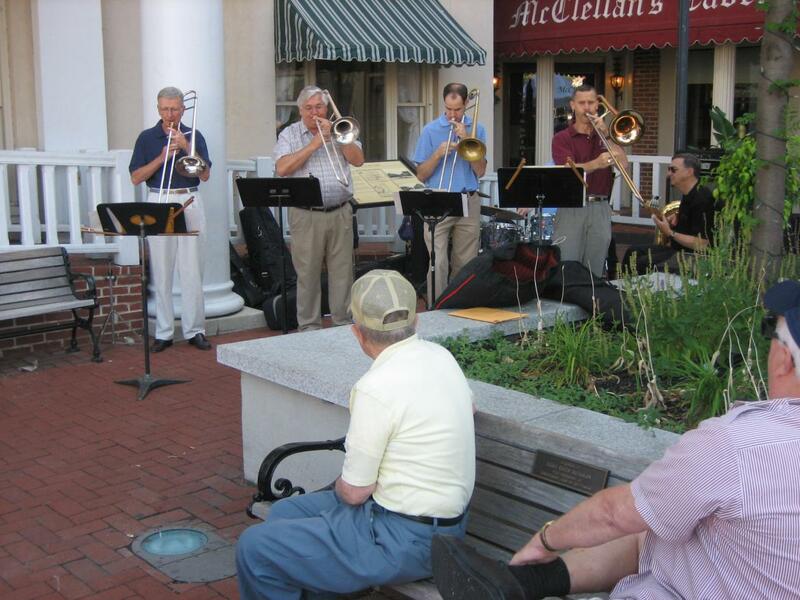 The Slide Show is only one of approximately 25 brass bands that will perform at the festival this year. This view was taken from the northeast facing southwest at approximately 8:55 AM on Saturday, June 21, 2008. 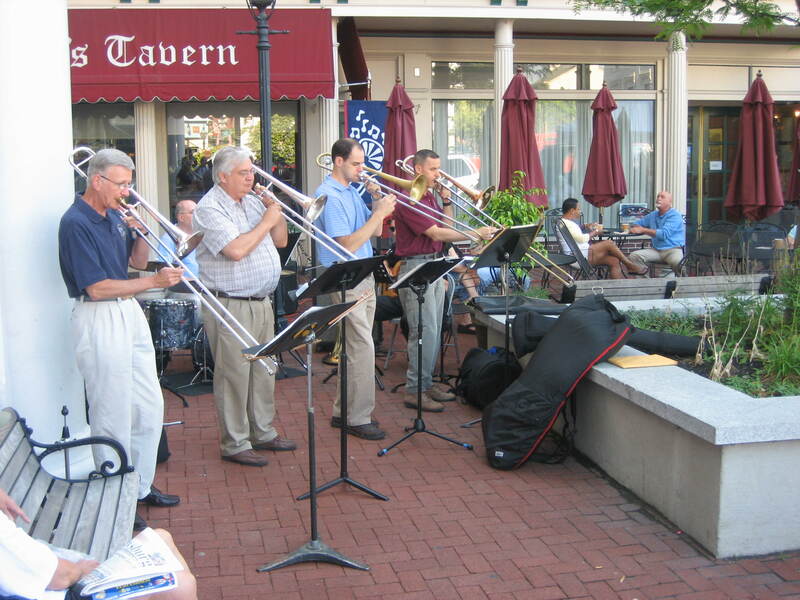 The 25 Brass Bands this year include brass quintets, trombone and tuba quartets, British style Brass Bands, American style Brass Bands, Dixieland bands, brass choirs, Civil War period bands, community bands, drum and bugle corps, military brass, and a brass band performing on a bandwagon. This view was taken from the southwest facing northeast at approximately 8:55 AM on Saturday, June 21, 2008. 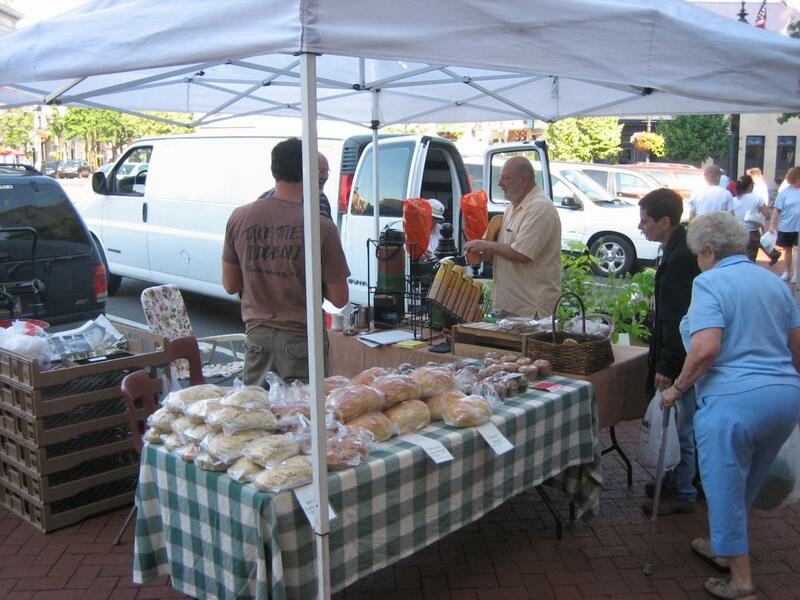 The Gettysburg Farmers Market was also on the square Saturday morning. In the center, Licensed Battlefield Guide Bob Prosperi purchases some bread from one of the vendors that surround the square. This view was taken from the northeast facing southwest at approximately 8:55 AM on Saturday, June 21, 2008. The Slide Show began their performance a little before their official starting time this morning because the crowd began to arrive early. This view was taken from the southeast facing northwest at approximately 8:55 AM on Saturday, June 21, 2008.